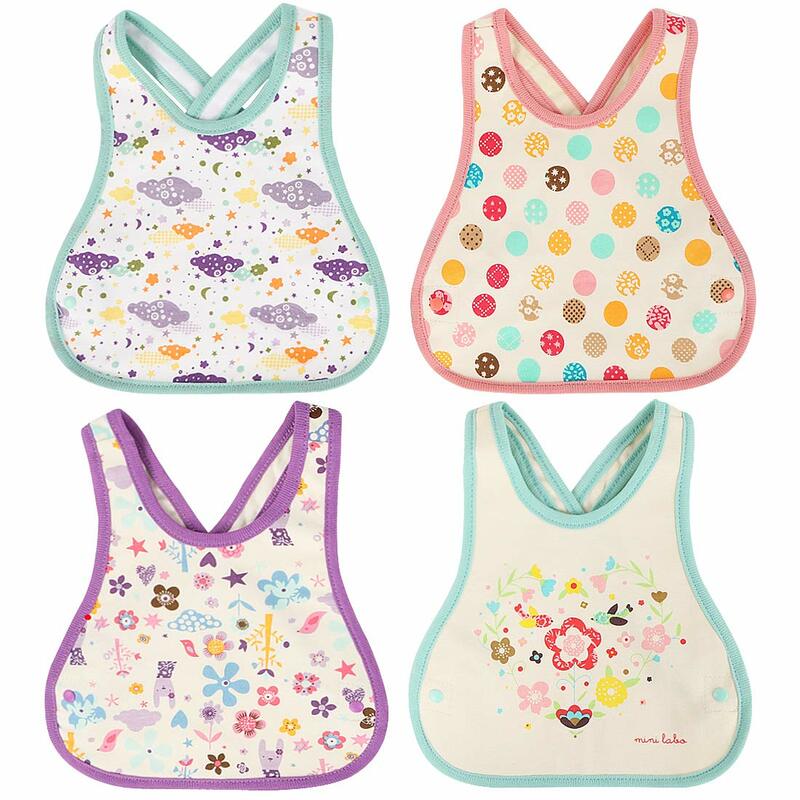 Made to frame that adorable face at mealtime, baby's first bandana bibs will keep clothing free of crumbs, spills, and every day drool. 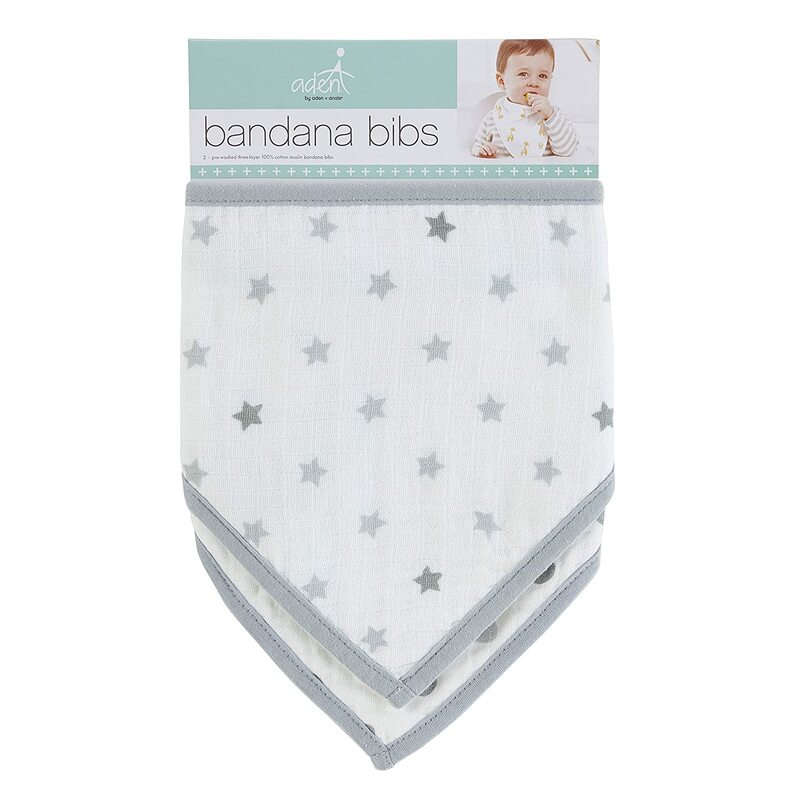 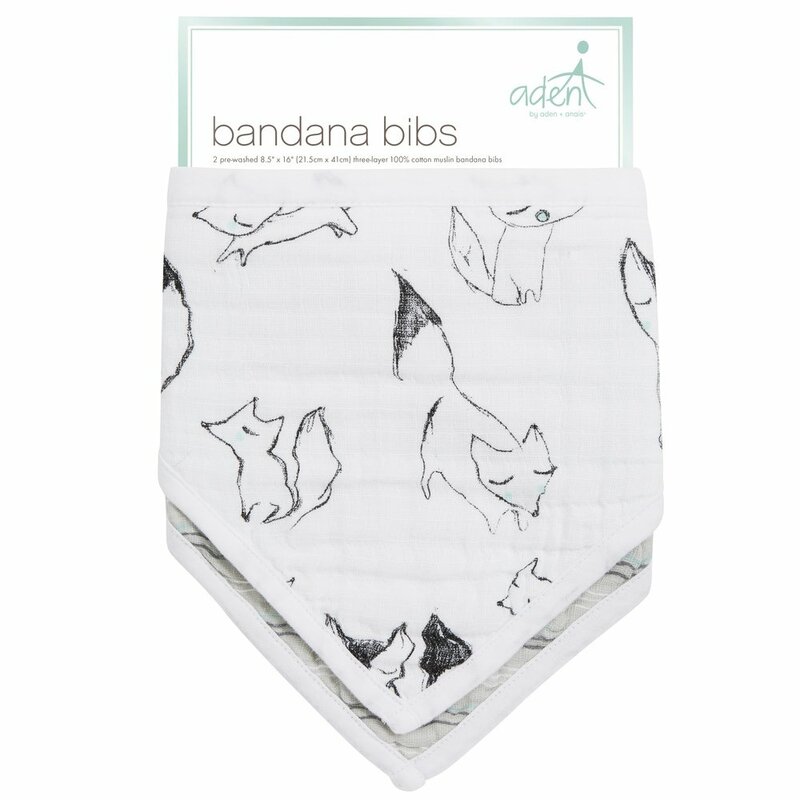 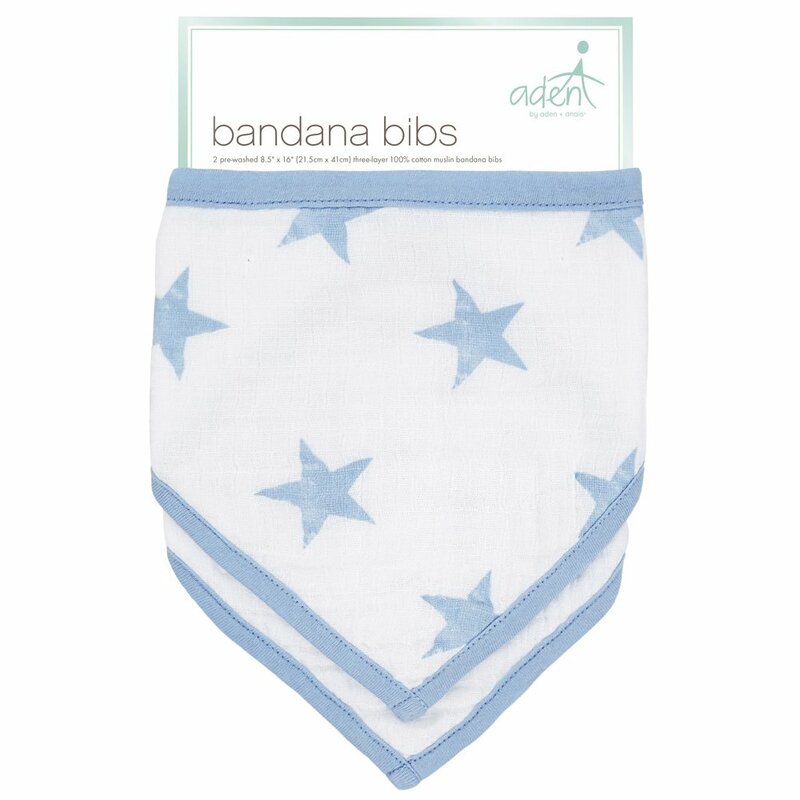 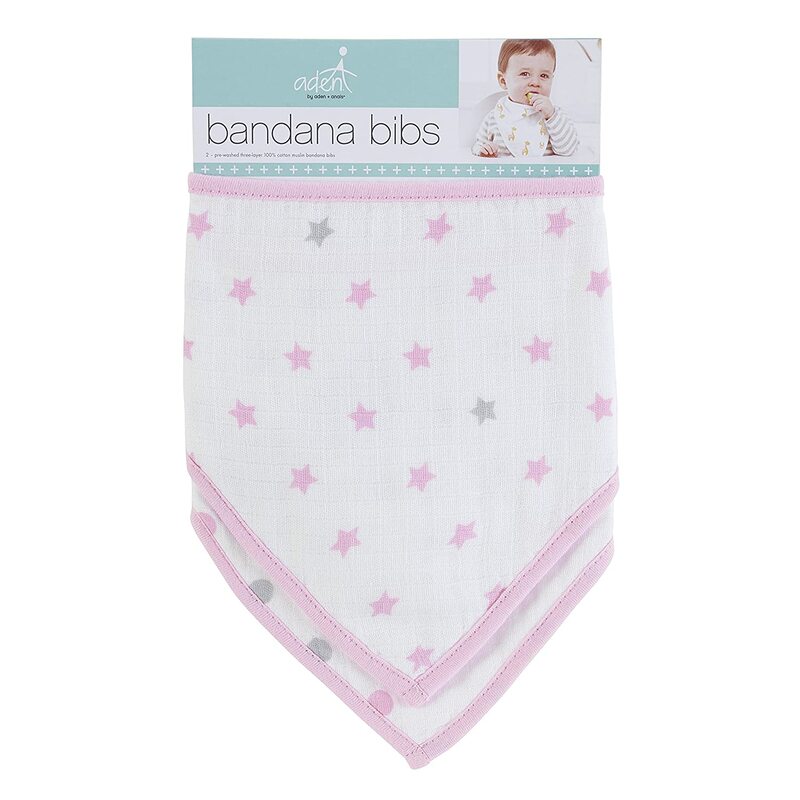 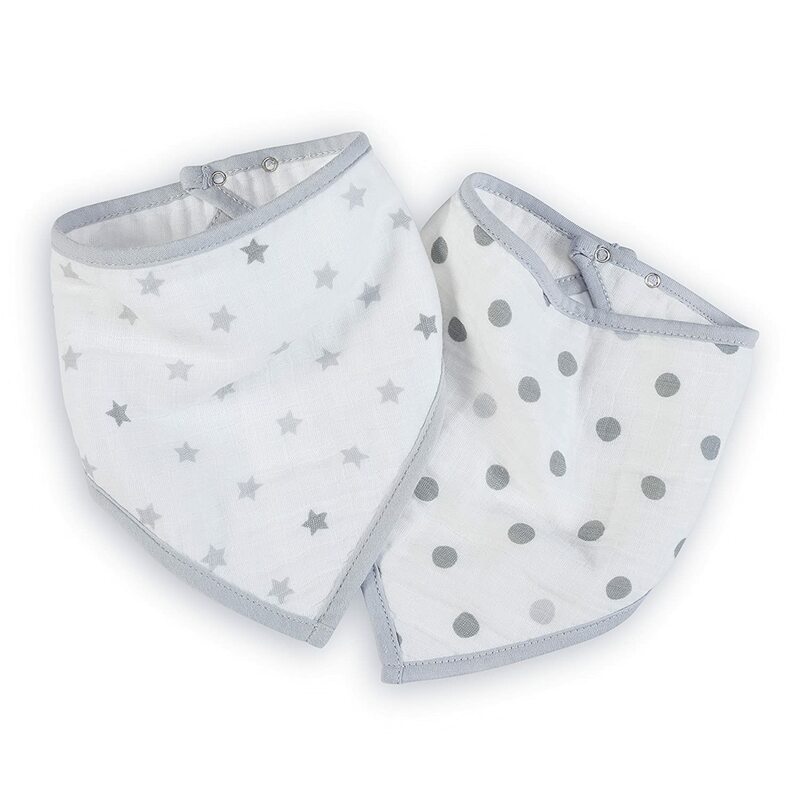 Our aden by bandana bibs are made of 00% cotton muslin that only get softer with each wash. 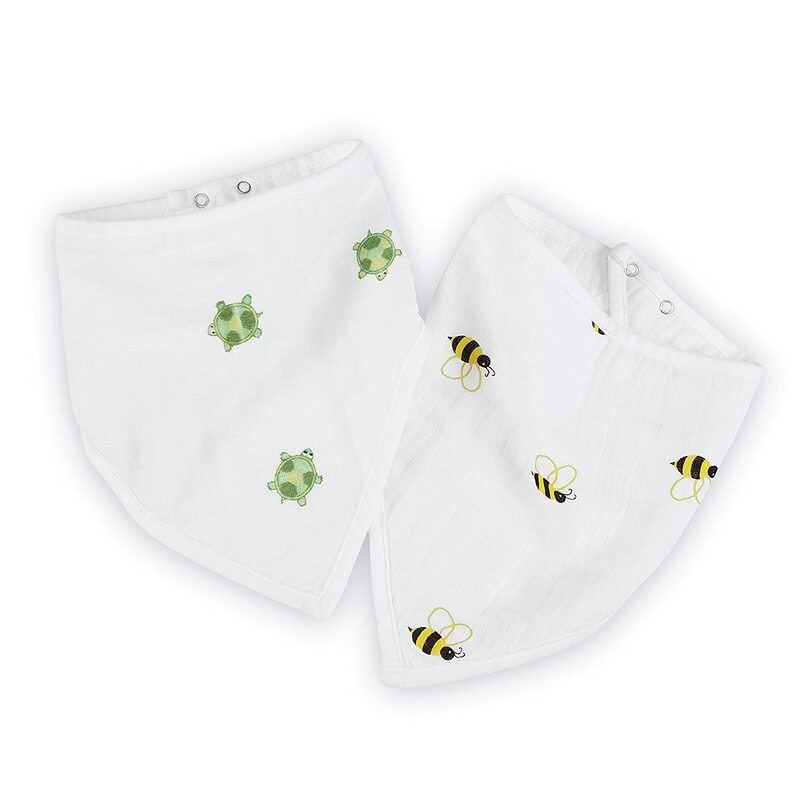 The simple double button snaps at the back are easy to put on so you won't waste a moment with fussy clasps. 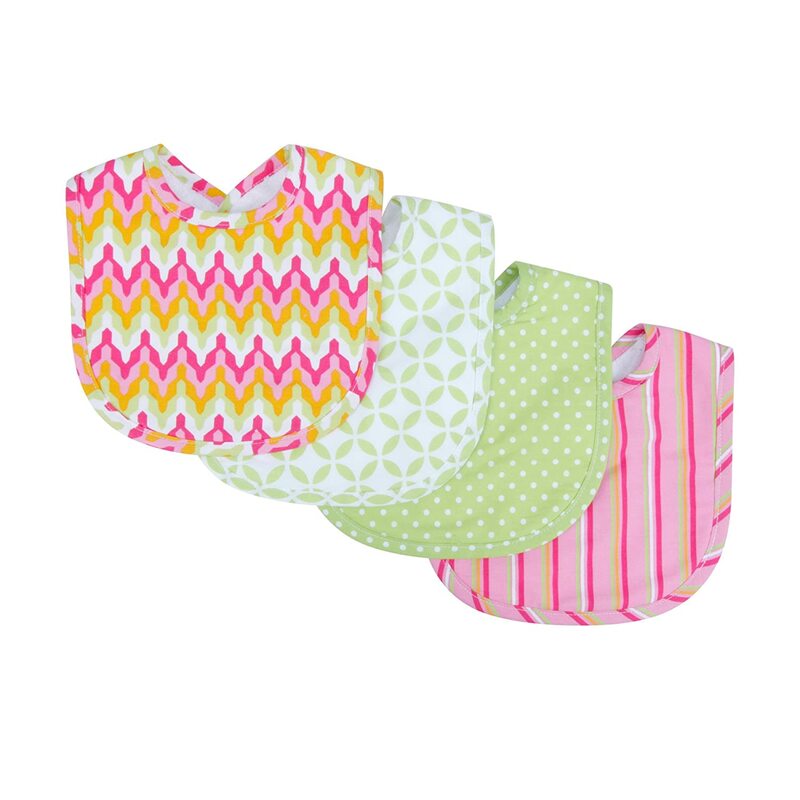 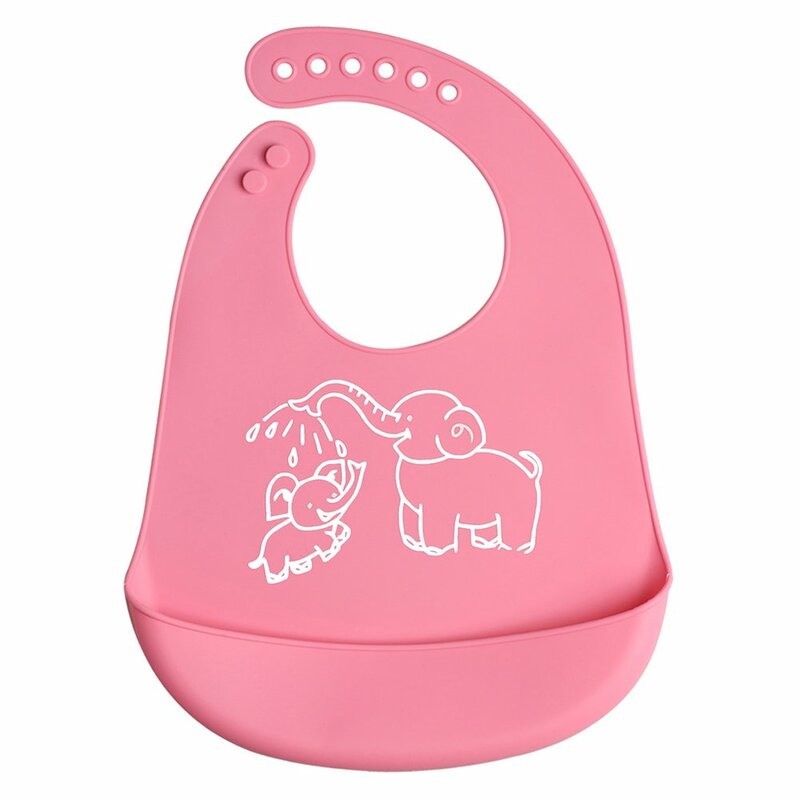 Adjustable snaps let these stylish and flexible bibs grow with baby and become a mealtime staple for years and years to come. 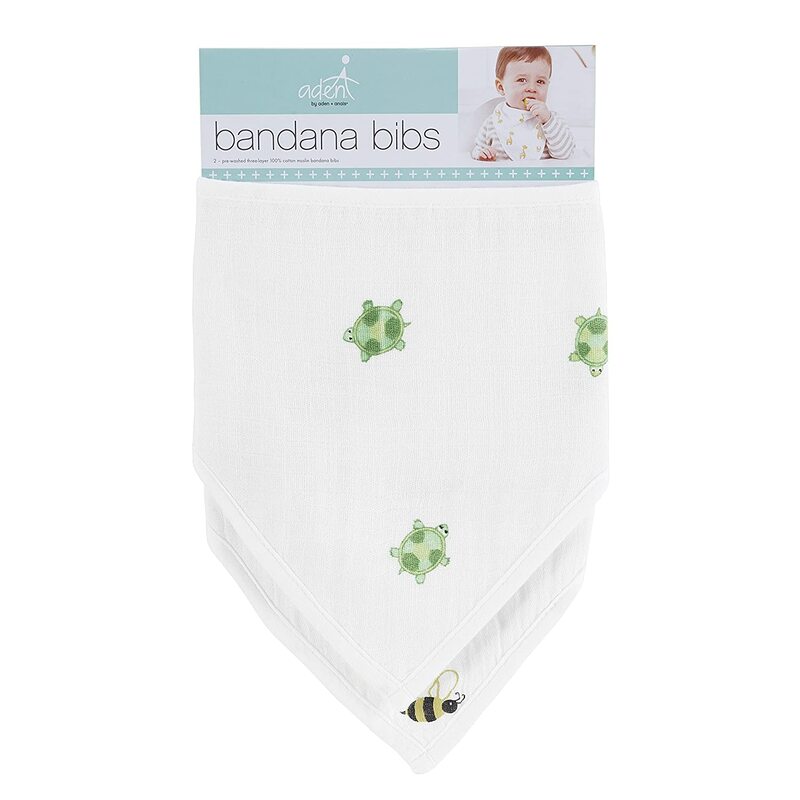 Our open cotton weave is perfect for your newborn's sensitive skin, yet durable enough for your toddler's messiest meals. 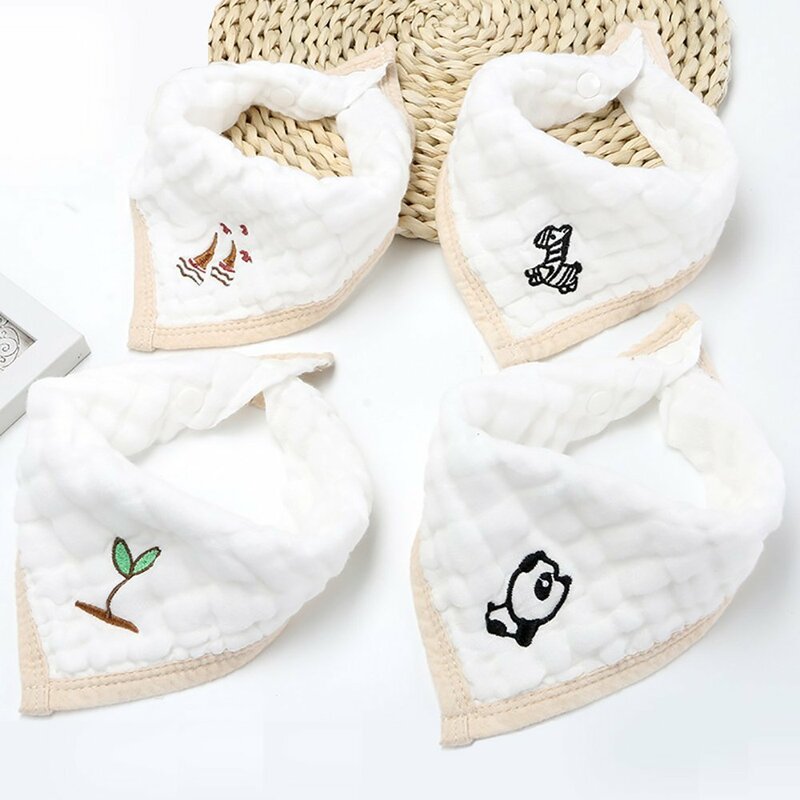 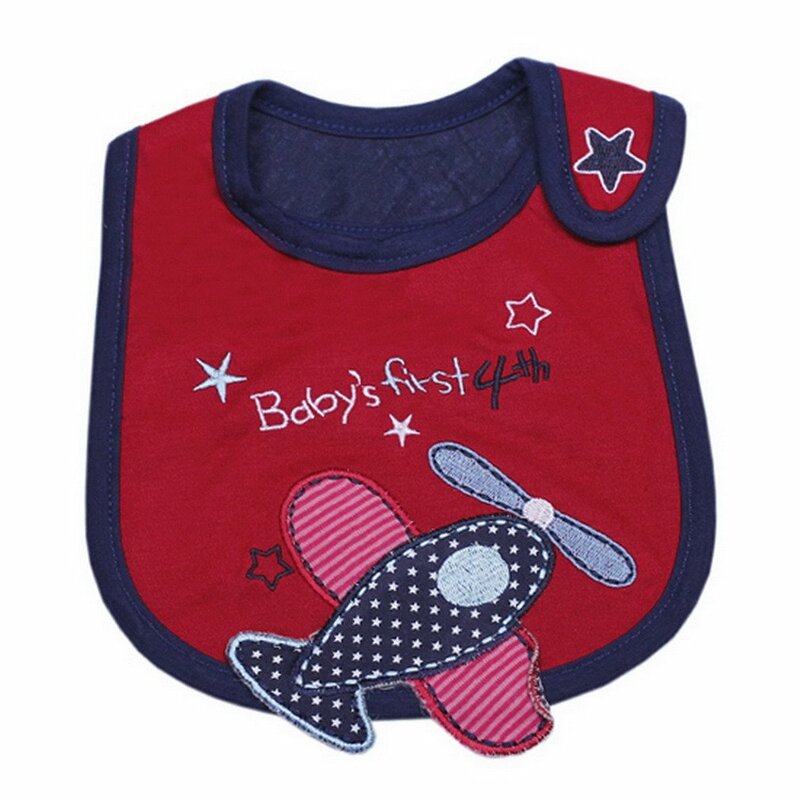 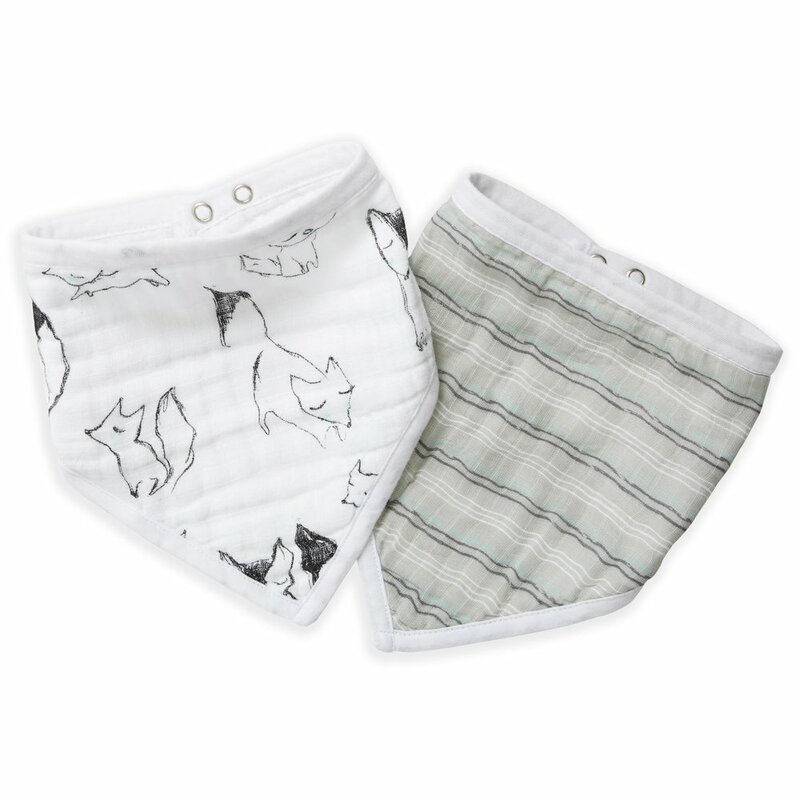 Make any feeding time cuter by saving little one's clothes and snapping on an adorable yet absorbent bandana bib that's as functional as it is fun. 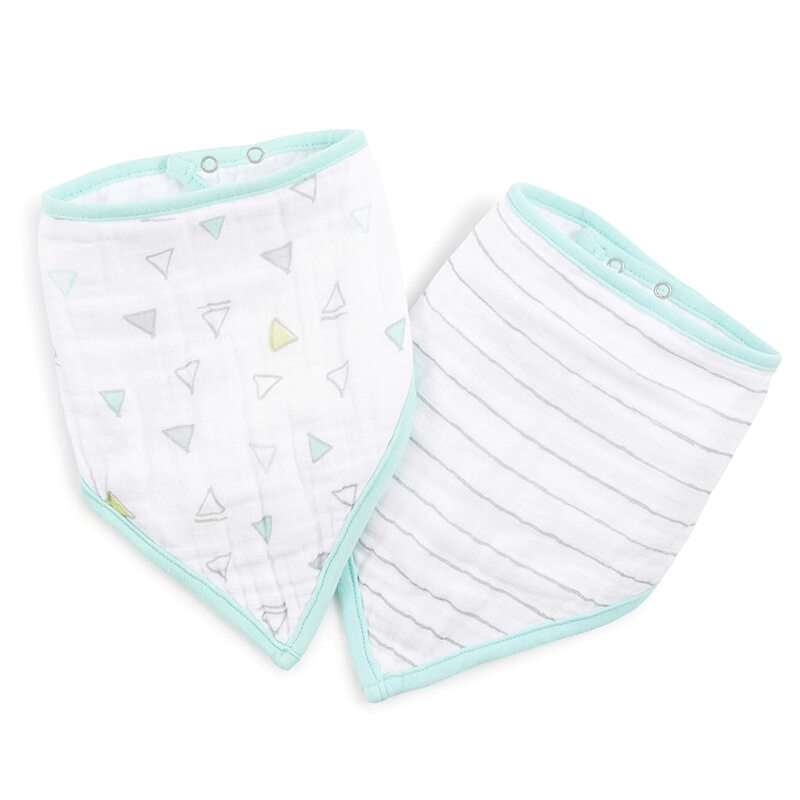 Made with four soft layers of pre-washed cotton, these meal time essentials are designed to catch all of baby's dribbles, crumbs, and spills by staying securely in place. 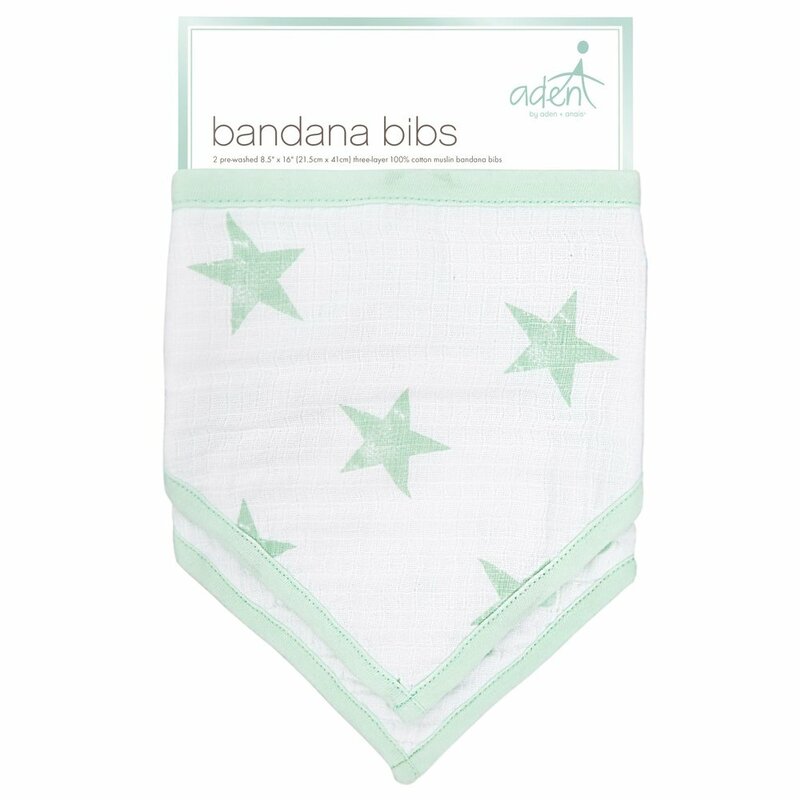 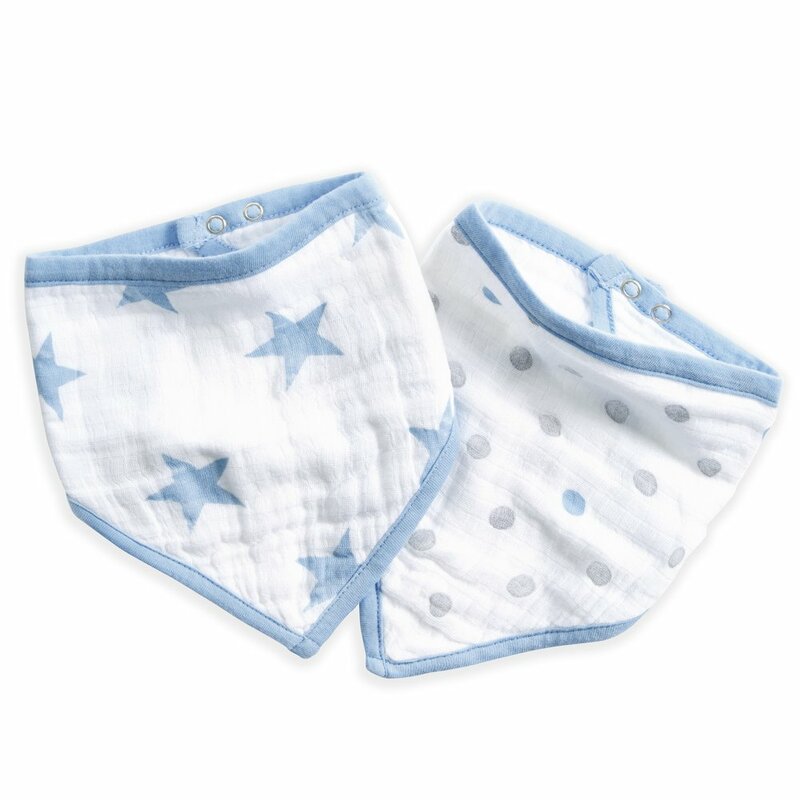 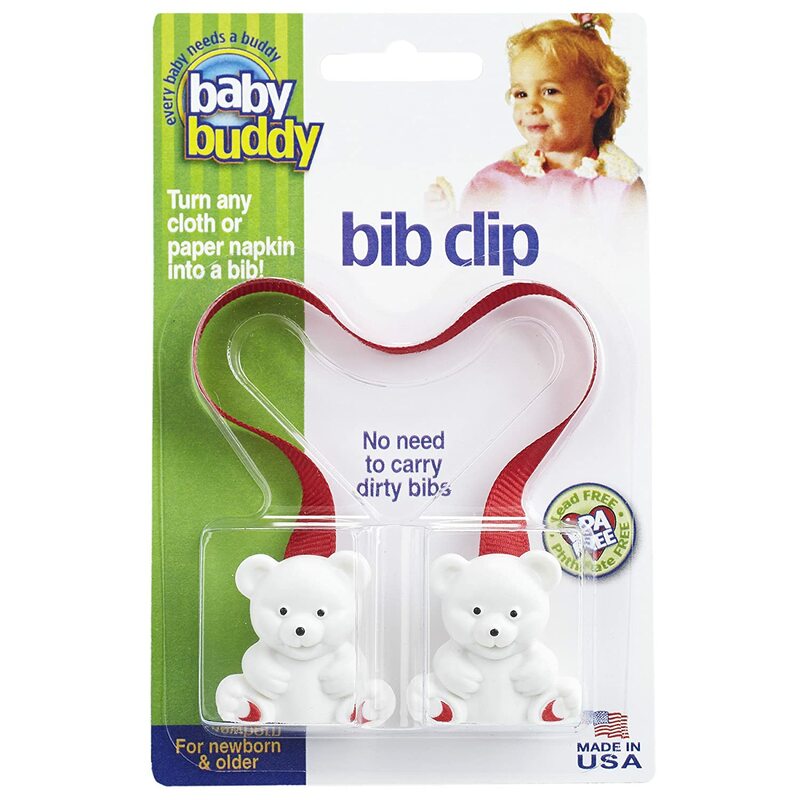 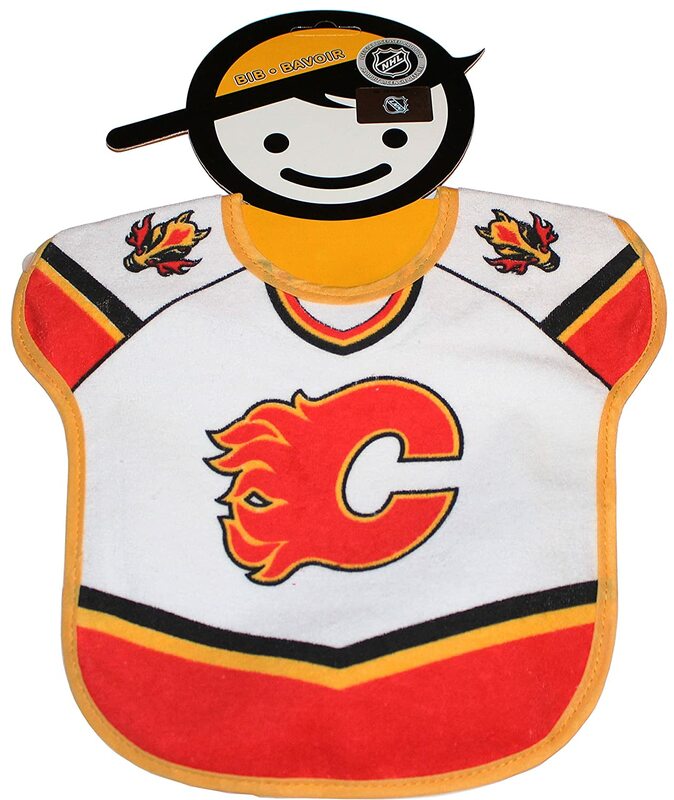 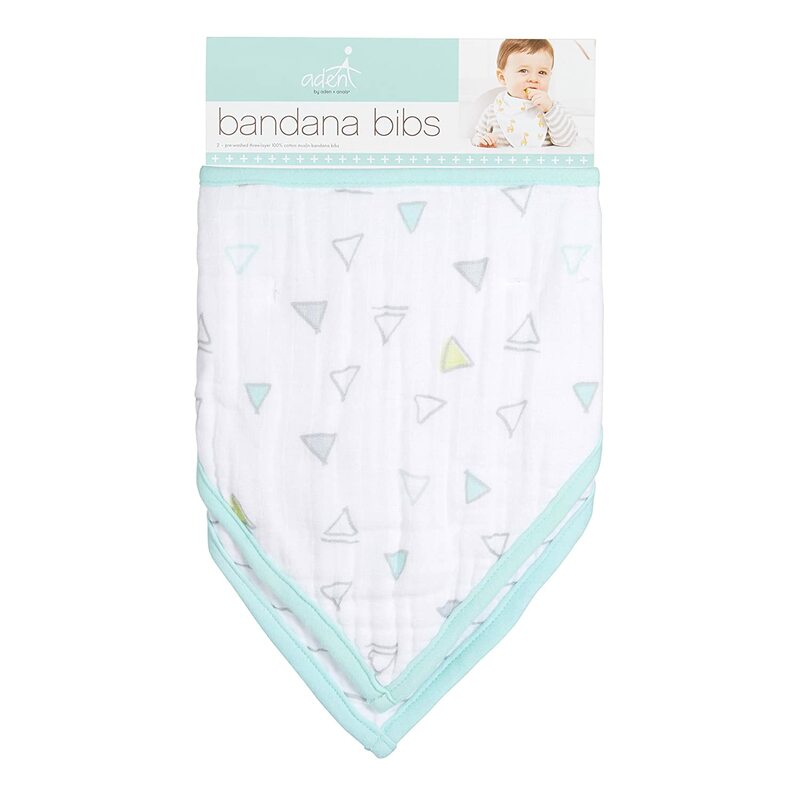 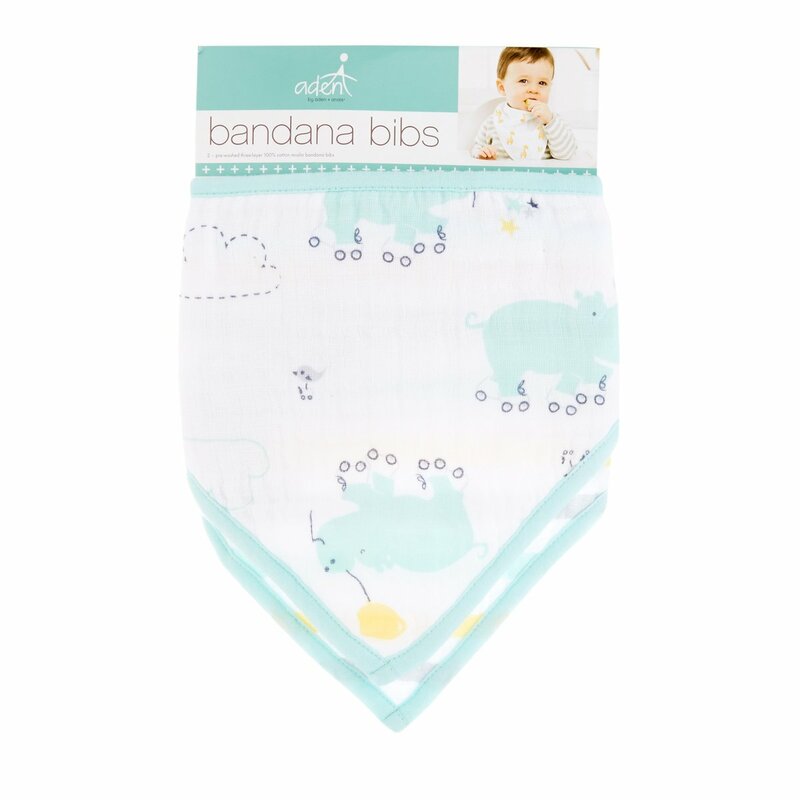 Plus, these aden by bandana bibs come in a convenient two pack and are machine washable so you'll always have a bib on the go!